1. BINDING AGREEMENT. Use of Patent Bots is governed by these Terms and Conditions ("Terms"). By using Patent Bots, you agree to be bound by these Terms, and you may not use Patent Bots unless you have accepted the Terms. Your acceptance of the Terms, creates a binding legal agreement between you and Patent Bots LLC ("we" or "us"). Please read these Terms carefully. 2. DATA PROCESSING. Patent Bots will process your patent documents to provide analysis results for you. 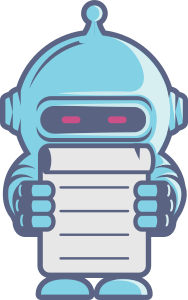 After providing results to you, Patent Bots will immediately discard your patent documents and not store, cache, or log any information about your patent documents. You agree that we may process your data under the Google Cloud Platform Terms of Service. As of the date of these Terms, the Google Cloud Platform Terms state that Customer Data (your data) is confidential information (see 16.15) and that Google "will not access or use Customer Data except as necessary to provide the Services to Customer" (see 5.2). 3. ASSUMPTION OF RISK. You assume all risk of using Patent Bots, and under no circumstances will we be liable for any outcome resulting from your use of Patent Bots. We hold absolutely no liability for any errors or inaccuracies in the analysis of patent documents or our presentation of statistics, and you are solely responsible for the content of your patent documents. 4. ACCOUNT ACCESS. You may not share access to your Patent Bots account with any other person or use Patent Bots on behalf of another person or entity. For example, you may not share your Patent Bots password with others, login to Patent Bots on another person's computer to allow that person to use Patent Bots, or share proofreading results with a person outside of your company. 5. CONFIDENTIALITY AND RESTRICTIONS ON USE OF EXAMINER STATISTICS. You may not share the content of any statistics pages with any person outside of your company, except that patent attorneys and agents may share information about statistics for individual examiners with their clients. You may not perform any manual or automatic actions to systematically download Patent Bots content or to scrape Patent Bots content. 6. NO ATTORNEY-CLIENT RELATIONSHIP OR PRIVILEGE. Your use of Patent Bots does not create any attorney-client relationship nor any form of attorney-client privilege. 7. PRICING AND PAYMENTS. Subscribers will be charged at the beginning of their subscription period and all payments are non-refundable. Subscription prices are subject to change, and we will give you at least one month notice before changing subscription prices. Per-user subscriptions are not transferable, either to other users within the same company or to the same user who moves to a different company. 8. CANCELLATION POLICY. Subscriptions will automatically renew at the end of your subscription period. You may cancel your subscription at any time by sending an email to support@foopatentbots.com. We do not provide pro-rated refunds for the unused portion of your subscription. 9. TERMINATION. We may terminate your access to Patent Bots for any violation of these Terms or applicable law without notice or warning and without any refund of amounts paid. 10. DISCLAIMER OF WARRANTY. PATENT BOTS IS PROVIDED "AS IS" TO THE MAXIMUM EXTENT PERMITTED BY APPLICABLE LAW. WE EXPRESSLY DISCLAIM ALL WARRANTIES AND CONDITIONS OF ANY KIND, WHETHER EXPRESS OR IMPLIED, INCLUDING, BUT NOT LIMITED TO THE IMPLIED WARRANTIES AND CONDITIONS OF MERCHANTABILITY, FITNESS FOR A PARTICULAR PURPOSE, AND NON-INFRINGEMENT. WE SPECIFICALLY DO NOT REPRESENT OR WARRANT THAT PATENT BOTS WILL MEET YOUR REQUIREMENTS, WILL BE ACCURATE OR RELIABLE, AND WILL BE ERROR FREE. NO INFORMATION OR ADVICE, WHETHER ORAL OR WRITTEN, GIVEN BY US, SHALL CREATE ANY WARRANTY NOT EXPRESSLY PROVIDED IN THE TERMS. 11. LIMITATION OF LIABILITY. TO THE MAXIMUM EXTENT PERMITTED BY APPLICABLE LAW, WE SHALL NOT BE LIABLE FOR ANY DIRECT, INDIRECT, INCIDENTAL, SPECIAL, CONSEQUENTIAL, OR EXEMPLARY DAMAGES (INCLUDING BUT NOT LIMITED TO ANY LOSS OF BUSINESS PROFIT, ANY LOSS OF GOODWILL, ANY LOSS OF DATA, OR THE COST OF PROCUREMENT OF SUBSTITUTE GOODS OR SERVICES) THAT MAY ARISE FROM THE USE OF PATENT BOTS. WE SHALL NOT BE LIABLE FOR SUCH DAMAGES WHETHER OR NOT WE HAVE BEEN ADVISED OF OR SHOULD HAVE BEEN AWARE OF THE POSSIBILITY OF ANY SUCH LOSSES ARISING. 12. GENERAL LEGAL TERMS. The Terms will be governed by the laws of the Commonwealth of Massachusetts without regard to its conflicts of laws principles. You agree to submit to the exclusive jurisdiction of the courts located within Massachusetts to resolve any legal matter arising from the Terms or your use of Patent Bots. The Terms are the whole agreement between you and us and supersedes any prior communications or agreements. If any provision of the Terms is held invalid, such provision will be removed and the remaining provisions will continue to be valid and enforceable. Our failure to enforce any right or remedy arising out of the Terms will not constitute a waiver of such right or remedy. Last modified May 14, 2018.